Has Man A Function In Universe? is part of an ongoing project to develop forty projects related to forty questions written by R. Buckminster Fuller. Each project is an artwork or a combination of artworks, developed in response to one of the questions. Of all the questions ‘Has Man A Function In Universe?’ may be the key that binds and directs all of the other questions. The publication will reflect the process of the project – an ‘exquisite corpse’ involving collaboration, dissemination and the combining of works. Contributions from: Neil Chapman, Shezad Dawood, Per Hüttner, Juneau Projects, Karin Kihlberg & Reuben Henry, Kerry James Marshall, Jessica Spanyol, Lisa Strömbeck, Mark Titchner, Sue Tompkins, Hayley Tompkins, Gavin Wade and Carey Young. 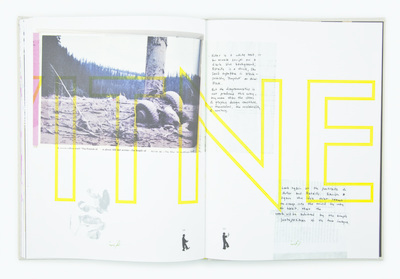 Co-published by Book Works and Eastside Projects. It is the sixth in a series of co-publishing partnerships initiated by Book Works, entitled Fabrications, edited by Gerrie van Noord.